Do you have a parent or grandparent in a nursing home? Are you ready to bring your child to see them? 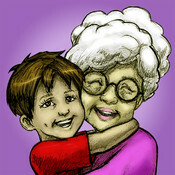 Join Luca Lashes as he visits his great grandmother, plays some games, and has a great time visiting! 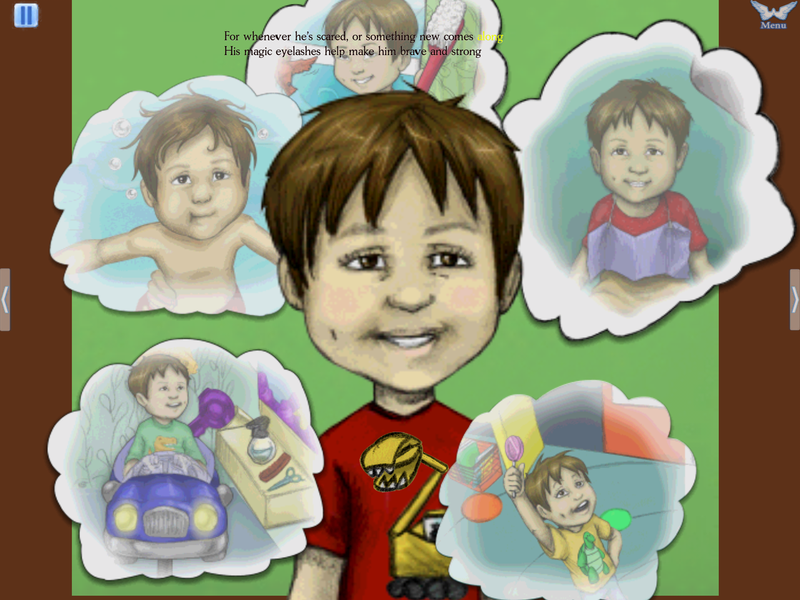 This is a multilingual (Chinese, English, French, Italian, and Spanish), educational, interactive, audio app that continues the Luca Lashes series about children experiencing their “firsts”. 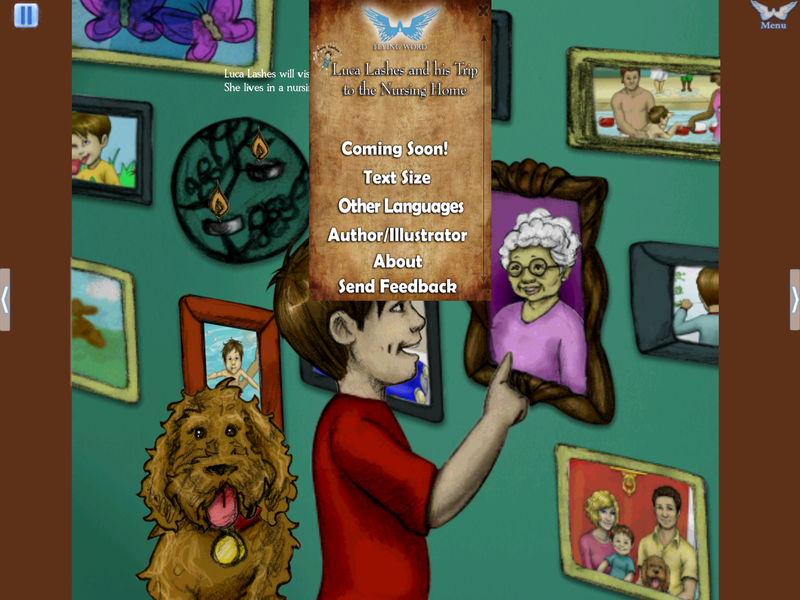 This app is the 7th in our series, as Luca, the brown-eyed boy with the magical eyelashes, gets ready to and visits his great grandmother in a nursing home, where she has just recently moved in. 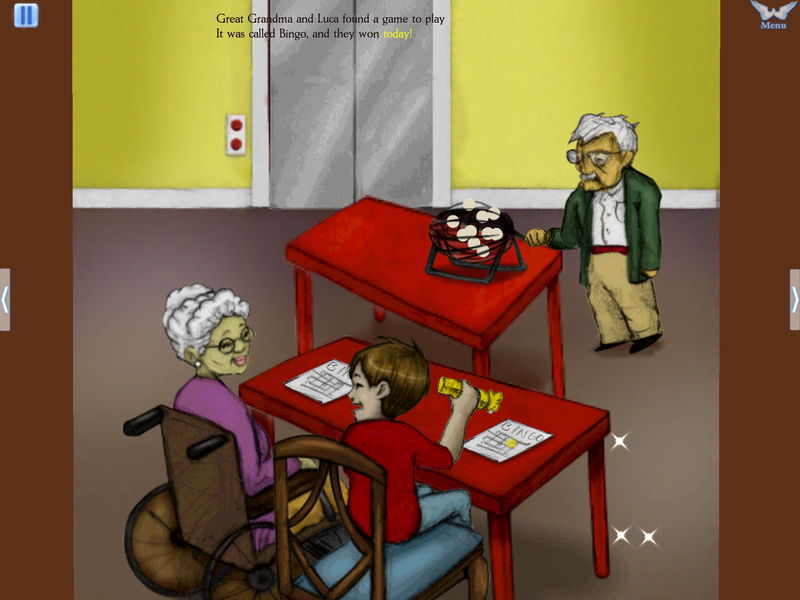 Children can experience the sights and sounds of a nursing home while touching different interactive areas on the screen to fully appreciate their surroundings. The story also includes some parental suggestions to help parents take the newness and anxiety out of this situation. The Luca Lashes series is intended for children under four. To promote reading in children, individual words are highlighted as the story is read. 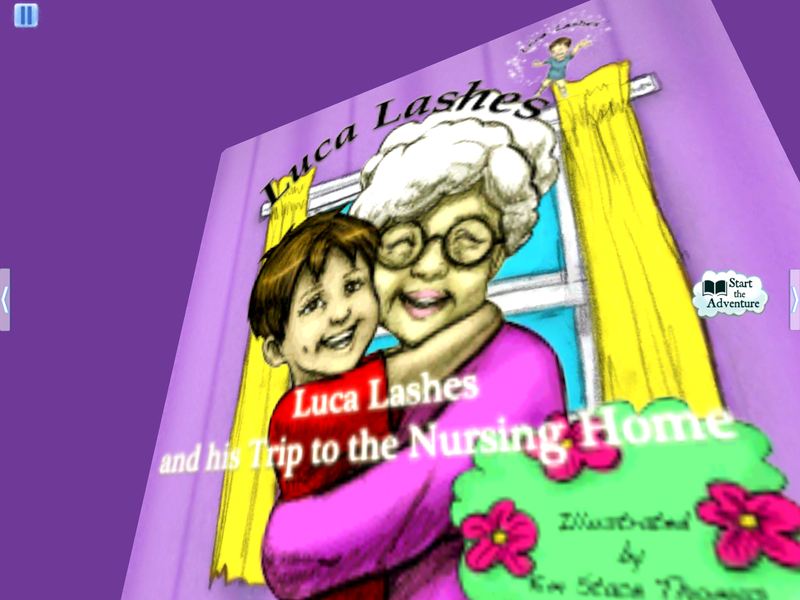 Luca Lashes LLC, is committed to promoting literacy, through the combination of the original text with artwork and audio, and also providing entertainment and an interactive learning experience. It’s never too early to fall in love with language! •Fun & engaging interactive sound effects for each scene w/ some animation!!! Becoming brave, problem-solving, fine motor. 0-4 with a parent, and beginning readers. No, but our new app “Luca Lashes visits Mommy in the Hospital” is coming out soon!